Mercenie Sites > Banking Manual > Articles > What is NITI ayog ? We determine to make first day of new year an important day in our life chapter. Everyone tries something different to make it memorable. So why should the new government will stay behind? Thats why on the very first day of 2015 Narendra Modi led NDA government marked the new beginning by replacing planning commission with NITI ayog. Earlier in his maiden independence speech Narendra Modi hinted about the replacement of the old commission. 1st January 2015 was the day when government came clear about this statement. It was officially declared that planning commission had been replaced by NITI ayog. Still some questions tickle our curious brain. The first question that comes to our mind is why planning commission was scrapped? To find the answer we have to turnover some pages from the past. Right after independence to revive economy India followed socialist inspired policies. 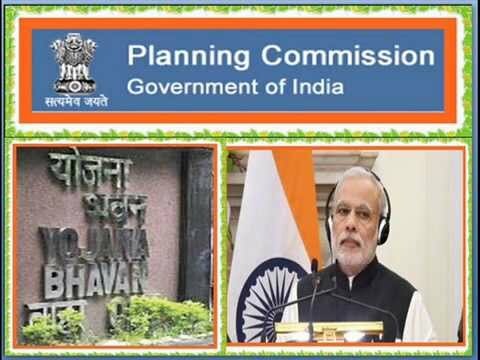 Planning commission was the body used to formulate five year plans for the country. Until 1965 two more five year plans were implemented thereafter. Priority was given on agricultural sector and industrialization. However the third five year plan was a fiasco. Chinese intrusion and India-Pakistan war aggravated the situation. During 1966 to 1969 three annual plans were implemented. The roller coaster ride continued. But due to political instability and balance payment crisis situation began to worsen even more. Economic liberalization came into Indian economy. The economic liberalization and federal autonomy are the two main reasons for the downfall of planning commission. 1. During 1980s Soviet union was the primary importer of Indian goods. By exporting domestic products India earned US dollar, the global trading currency. But in late 1980s Soviet union was splitted into 15 countries and was pushed into crisis. So it could not import Indian products. Export of India almost dropped. 2. Again due to 1990s Iraq war Kuwait oil fields were burnt. As a result oil carrying ships could not reach Persian gulf. Thus oil price shot up. Oil import of India reduced. The deteriorating situation had called for US intervention in the war. So technology supply also stopped. It affected India’s production. With its major importer, suppliers (US and Iraq) in war and slow domestic growth situation led to further economic crisis. India was unable to pay in dollars. This crisis is known as balance payment crisis. This crisis called for economic liberalization. Rules were relaxed. These include removal of custom duty and abolishing import license. Foreign investors were allowed. Economy was liberalized. Which means markets can now operate in free manner and privatization was allowed. Planning commission failed to allocate resources as per market needs. It was believed that planning commission was impinging on federal autonomy. States voiced their concerns over budgetary allocations recieved. It never ensured social and economic freedom and justice for people. NITI ayog was formed with an objective for better state and centre coordination. NITI stands for National Institution for Transforming India. NITI ayog seek to put an end to slow and tardy implementation of policy. 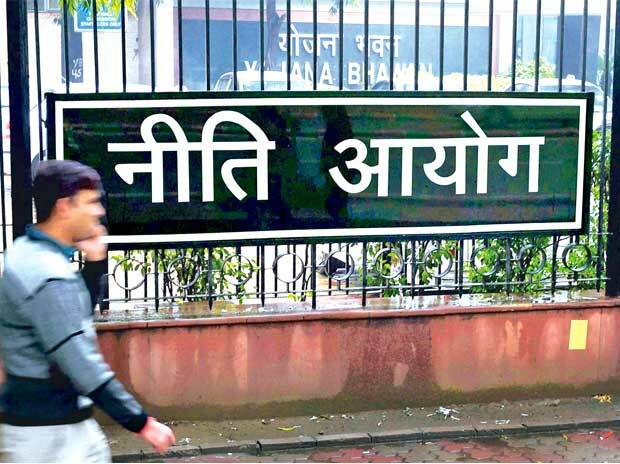 How NITI ayog is different from planning commission ? NITI ayog will include leaders of 29 states and 7 union territories. Its full time members are prime minister as chairman, vice chairman and a CEO. Two part time members from leading university and research organisation. 4 union members as ex-officio members. Governing council will have chief ministers and Lt.governers. Recently Arvind Panagariya has been appointed vice chairman of NITI ayog. 1. The new body and its mechanisms will improve centre-state coordination. 2. It will ensure effective utilization of funds. 3. It will have four wings namely inter state council, plan evaluation, UIDAI and DBTL. 4. NITI ayog will act as a think tank that will suggest strategic and technical advice on key elements. 5. Better inter ministry coordination with transparency in governance.